Sepulchure Returns Guilds Released The next J6 update Dage the Evil quests and merge shop updates. Underworld release (Dage's personal map)! Legion storyline(reputation)! Nulgath VS Dage the Evil war! Dage the Evil's shirt and poster coming to heromart! The Tenth Lord of Chaos More Trade Skills! (Blacksmithing, scroll-scribing, potionmaking, etc) Potionmaking is the next trade skill! Update to Xan storyline Alina & Rolith's wedding coming October 12! Doomwood Part 2 continues Artix & Sepulchure action figures will be available on May 18th at HeroMart and at 100% of all Toys 'R Us stores on May 23! The Blinding Light of Destiny & Sepulchure's Armor Quest Chains continue! Etherstorm War comes to a close! Happy Birthday Dage & Solrac! AC version of SkyGuard Grenadier added! 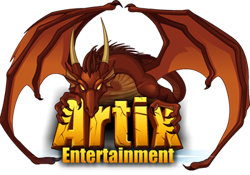 Hello, and welcome to AQW's first wiki! The AQWorlds Wiki houses tons of information about AQWorlds such as Monsters, Quests, Weapons, and more! We even have Guides, which explain various aspects and features of AQWorlds in depth. If we're missing something, let us know! Or, you can register and add it in for us! If you have any questions, or need any help, feel free to contact an Administrator, or see if you can find what you need on our Help page.